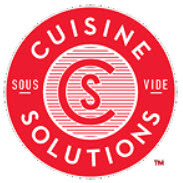 Alexandria-based Cuisine Solutions will commemorate International Sous Vide Day on January 26, 2019. 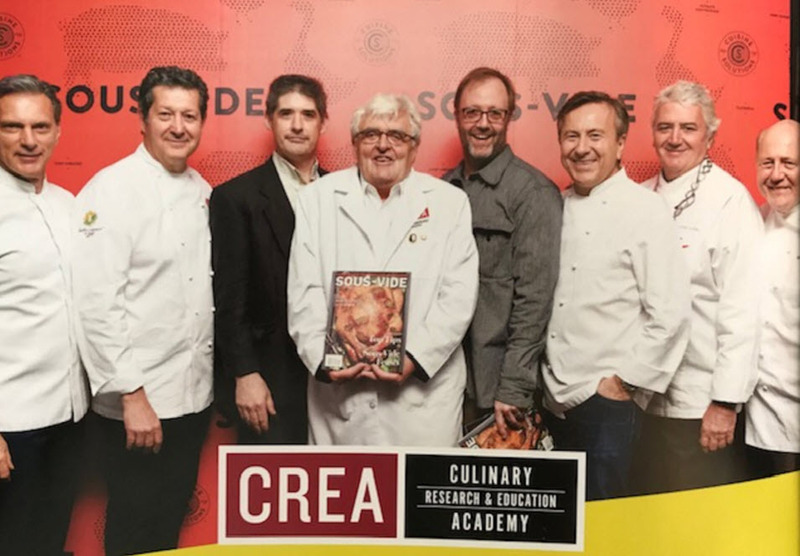 The celebration honors the birthdate of Cuisine Solutions chief scientist Bruno Goussault, the “father” of sous-vide cooking and founder of the Culinary Research & Education Academy (CREA). 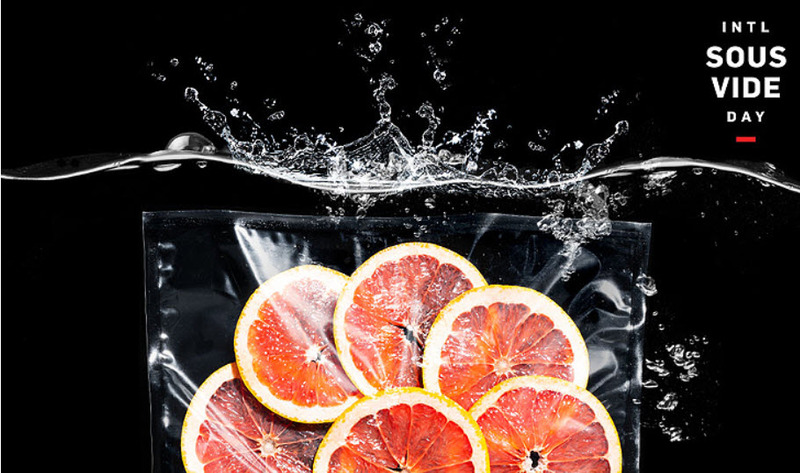 Sous vide is the revolutionary cooking technique in which food is vacuum-sealed and slow-cooked in hot water allowing food to cook evenly at a precise temperature. This process enhances flavors and maintains the moisture, consistency and nutrients often lost during conventional cooking. An elegant sous-vide dinner (open to the public) will be served on January 26th at the French Embassy at 4101 Reservoir Road NW, Washington, DC 20007. The celebration begins with cocktails and hors d’oeuvres from 6-7pm. At 7:30pm guests will be seated for a four-course dinner with wine. The cocktail hour takes guests around the world with artful drinks and perfectly paired hors d’oeuvres at four stations including a USA, France, Thailand and a Dr. Goussault station. One might try the Sous Vide Buttermilk Fried Chicken with braised greens and spiced maple syrup from the USA station; a Smoked Salmon Terrine Wasabi Arugula Salad at the French Embassy station; a Crab Cake with green curry sauce and fresh young coconut slaw; from the Thailand station; and a Sous Vide Pot au Feu and 3 bone short rib, small can, vegetable and broth made with siphonat Dr. Goussault’s station. Top chefs from major culinary cities will share their love for sous vide via short, filmed interviews that will be featured on www.internationalsousvideday.com on January 26. From New York City one can watch Wylie Dufresne, David Arnold, David Bouley, Jean-Louis Dumont, Brad Farmerie, Matt Lambert, Herve Malivert, Brian Berger, Nils Norén, and Jamie Simpson; from Washington, D.C., Edward Lee, Kevin Tien, Kwame Onwuachi, Ryan Ratino, Russell Smith, K.N. Vinod and Vikram Sunderam; from Chicago, Phillip Foss, Paul Kahan, Matthias Merges, Micah Melton, Jenner Tomaska, and David and Anna Posey; from San Francisco, Erik Anderson, Kyle Connaughton, and Kathy Fang; from Los Angeles, Marcel Vigneron; from Miami, Brad and Soraya Kilgore, and Douglas Rodriguez; from Austin, Phillip Speer and Nik Yanes. Additionally, the evening will feature a number of celebratory giveaways, including sous vide circulators and equipment, Cuisine Solutions Premium Sous Vide Cooked Products, Sous-Vide magazine subscriptions, and more. And, of course, each guest will receive a luxe, complimentary International Sous Vide Day swag bag. All-inclusive tickets are $100 pp. Proceeds benefit the Careers Through Culinary Arts Program, a national non-profit program that educates and guides underserved high school students. Tickets are open to the public. For more information and ticket purchase visit https://franceintheus.org/spip.php?article8955. To learn more about International Sous Vide Day visit http://www.internationalsousvideday.com/.